Alexander Vesnin was the youngest of three architect brothers who became the paradigm of architectural Constructivism in the USSR. Unlike his brothers, Alexander combined architecture with painting and theatre stage design. 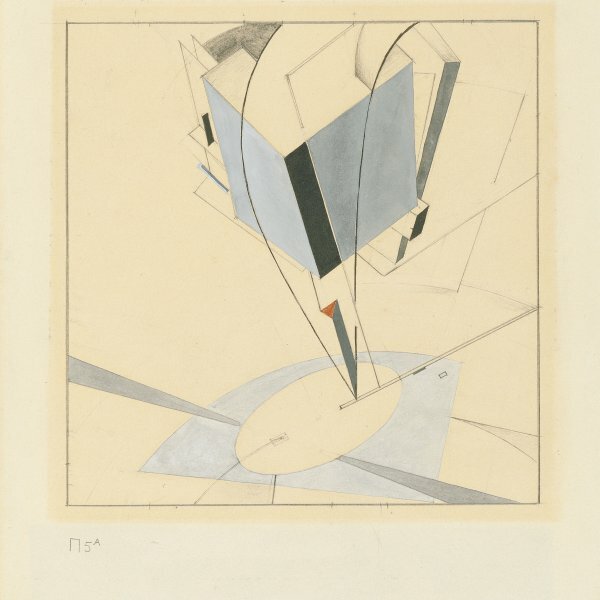 For a time his paintings were marked to an extent by Suprematism, but in the years that followed the Revolution, owing perhaps to the influence of the new concepts of proletarian culture and the machine aesthetic, Vesnin became one of the stars of Soviet Constructivism. 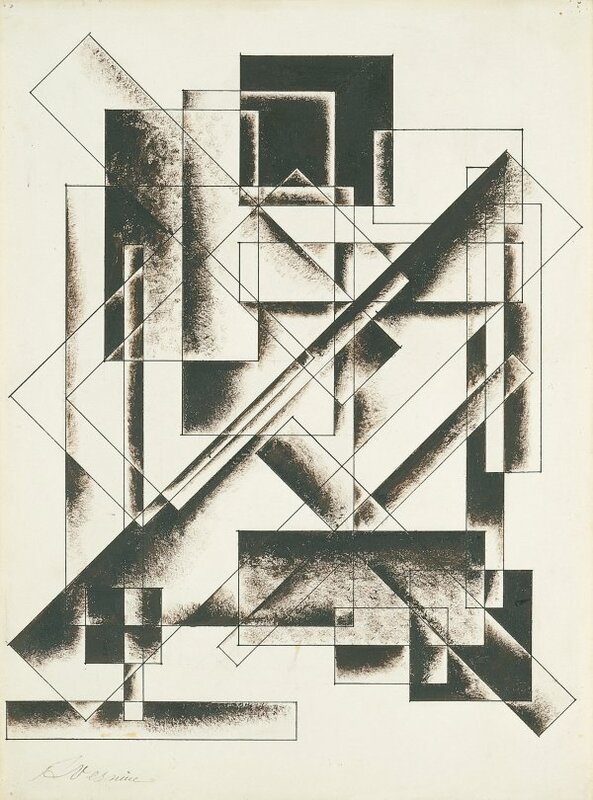 The present Geometrical Drawing in the Thyssen-Bornemisza Collection is very similar to the spatial constructions he showed at the legendary 5 x 5 = 25 exhibition. The predominant note in the Moscow show, in which Rodchenko, Stepanova, Popova and Ekster also took part, was the powerful influence of the Constructivism of Tatlin, who had proclaimed a new organisation of space, a new transformation of the image into a construction linked to the creation of a new communist universe. 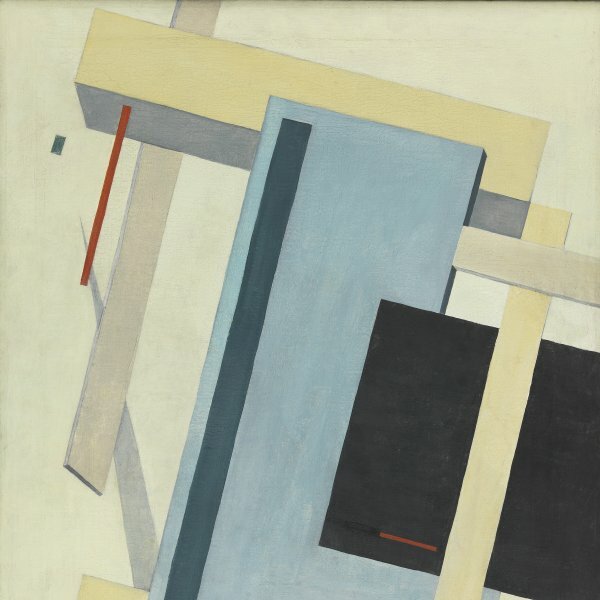 Vesnin’s structures, which are created from intersections of squares and diagonals of great formal simplicity, were regarded by Selim Khan-Magomedov as “the architectural drafts for future Constructivist facades.” In its emphasis on basic geometric structures, his painting establishes links with that of Popova, whereas it comes close to Rodchenko in its use of a monochromatic range and in the manner of outlining with a ruler and compasses that recalls industrial design. The first owner of the present drawing was Le Corbusier. It was among a set of works that Vesnin gave the architect during his visit to Moscow in 1928. Le Corbusier’s influence on artists like Vesnin contributed to spreading his ideas in the new Soviet Republic.